A Tangled Web » Blog Archive » THE NEW IRISH PRESIDENT SALUTING AMERICA. THE NEW IRISH PRESIDENT SALUTING AMERICA. 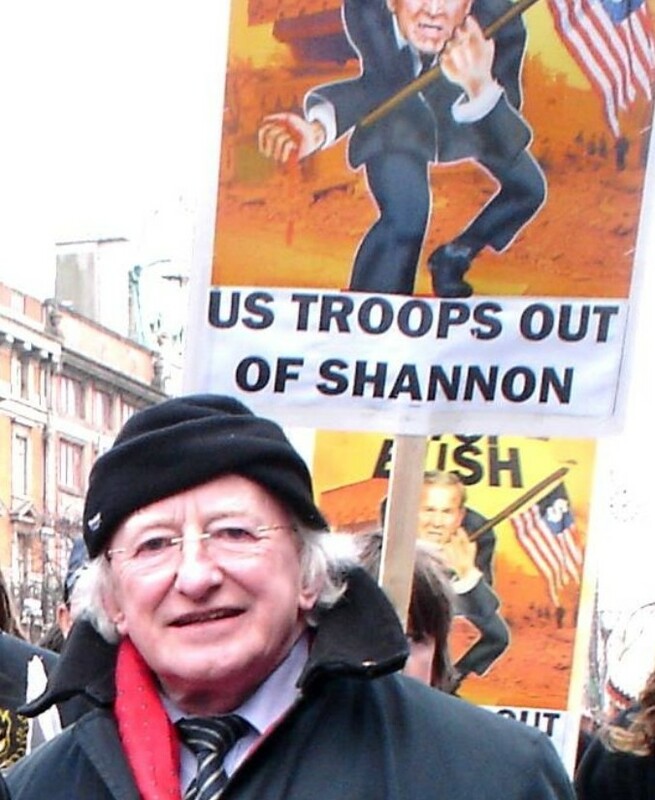 Here’s the new Irish President showing his support for America. Hat-tip to the excellent Mark Humphyrs. A patriot who supports his own country rather than a foreign country, how refreshing. I notice that the “excellent” Mark Humphrys describes himself as “Pro-American. Pro-Israel.” on his website but not Pro-Ireland. Don’t worry, we’ll be exploring Higgins “patriotism”. Are you saying that someone who disagrees with the war should give unconditional support to American forces refuelling in his, (allegedly nuetral), country? His regret isn’t that American troops used Shannon, its that Soviet troops didn’t. – CFI works to promote its twin aims of supporting Israel and promoting Conservatism. With close to 2000 activists as members – alongside 80% of Tory MPs – CFI is active at every level of the Party. CFI organises numerous events in and around Westminster, takes Conservative parliamentarians and candidates on delegations to Israel, campaigns hard for Tory candidates in target seats, and works to ensure that Israel’s case is fairly represented in Parliament. – Indeed. I had some suspicions that things were not quite right when I found out that the half-wit Jim Murphy (Labour career politician who is now, for some reason, shadow-Secretary of Defence) MP was a member of some pro-‘palestinian’ group whilst he was failing at Glasgow University. 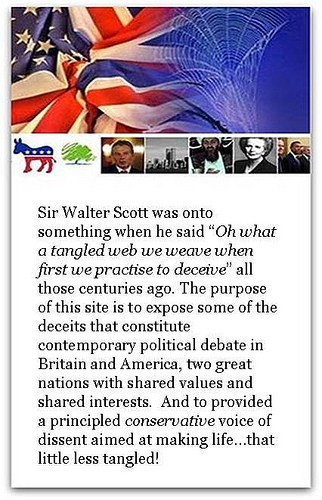 He is now a member of ‘Labour Friends of Israel’ – obviously a good career move to please the masters. Anyone who opposes the neo-con wars is smeared as a commie (Higgins) or a “kook” (Ron Paul). And anyone who utters a scintilla of criticism of Israel is smeared as a PLO / Hamas / Hezbollah / jew-hating fellow-traveller. There are no shades of grey in Rightworld. How thoroughly good to see you. Pete Moore is referring to the result of a football match today in west London. I will not be commenting further on this. I see also that Martin McGuiness came in third and declared himself “delighted” with the result. Evidently he may try again in seven years time! or was it actually the REASON he did so well? What happens when you have an unspeakably bad slate of candidates to choose from? Did Mr. McGuinness do well? If you call less than 14% doing well. Most of those votes came from Sinn Fein type nationalists, and some of them are protest votes, coming from an electorate that is still hurting badly. Next time round . . . her name could be Palin. This Irish slate made a Palin / Bachmann / Trump / Cain slate look like Socrates / Benjamin Franklin / Churchill / Marculus Aurelius! I’ve never heard of a worse choice in any election! Don’t you ever go to sleep? Often in the public eye, but preferred working behind the scenes.. Discreet, and suitably modest about his achievements. Come off it, we only have one Dana, you guys have 4 or 5.